We seem to recall Dunkin Donuts just giving us free iced coffee last year, but whatever… This year, it costs $0.50, and a whole $0.05 of the purchase price goes to Homes For Our Troops. As for the other $0.45, gotta cover costs in this economy, right? 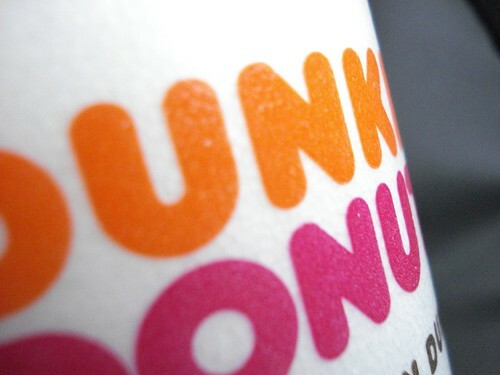 In all seriousness, today is Dunkin Donuts’ Iced Coffee Day, and fifty cents for a 16oz iced coffee isn’t bad for a little pick-me-up in the middle of the day. We’re not sure why they decided to hold their promotion on the same day as Free Cone Day, the aforementioned national holiday, but they did… So we’ll have to fit both in. We were really excited when Dunkin Donuts came to town a few years back, and they now have five locations in the Nashville area where we can get our iced coffee fix.